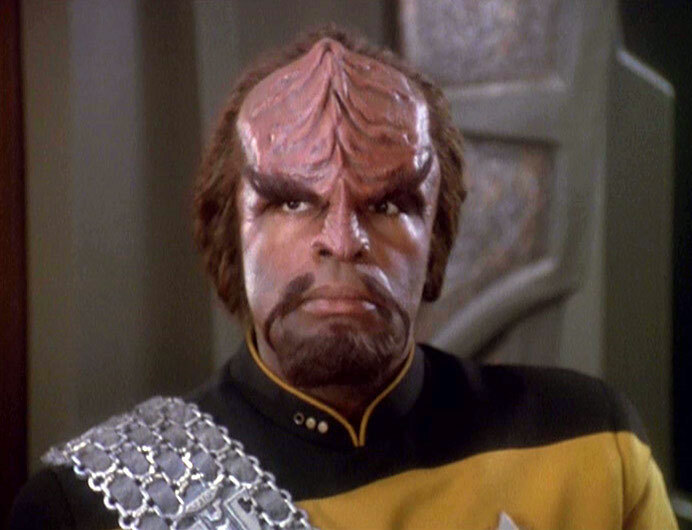 Michael Dorn, who played Lt. Commander Worf on Star Trek: The Next Generation, Deep Space Nine and four feature films, recently discussed the 25th anniversary of TNG, joining the cast of DS9, a proposed Star Trek mini-series, his new romantic comedy project, and more, in an exclusive in-depth interview with TrekNews.net. Check back tomorrow, to read part two. This year we celebrate 25 years of Star Trek: The Next Generation. 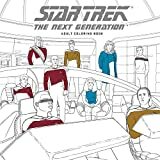 The complete series is being remastered in high-definition and you, along with several of your costars, have appeared on TNG reunion panels at a number of Star Trek, sci-fi and genre conventions. 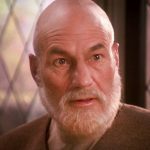 Can you believe it’s been 25 years since TNG first came on the air? Dorn: No and it’s an odd thing because it just doesn’t feel like it, it doesn’t seem like it. It just feels like we’re kind of the same. Of course a little grey hair here and there, but everybody’s still the same. We still joke and laugh with each other like we always do. The reason that it doesn’t seem that way is because we’ve been in touch with each other. We’re all very close. It hasn’t been 10 since I’ve seen somebody or fifteen years since I’ve seen Patrick [Stewart]. We see each other all the time, so I think that really contributed to it not seeming like 25 years. Let’s go back to 1987, the first season of TNG. What were some of your initial reactions to your co-stars and the roles they had been cast in? 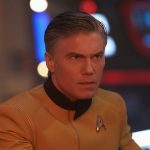 Dorn: The initial reaction was like I was doing research and I was just seeing how the actors were interacting with each other, both on and off the camera. I thought it was very interesting because Data is the android and science-fiction fans love androids. So you knew he was going to be one of the standout characters. Also, I was thrilled to be working with LeVar Burton, because he was, back in those days, the name on the show. The rest of us were known in the business in terms of our work, in terms of producers and casting directors knowing us, but not the world. I was thrilled about that. I hadn’t really followed the other actors, aside from Patrick in ‘Excalibur’. The other actors, like Jonathan [Frakes], he and I had mutual friends, so I had seen him, because we were kind of in the same category in those days. 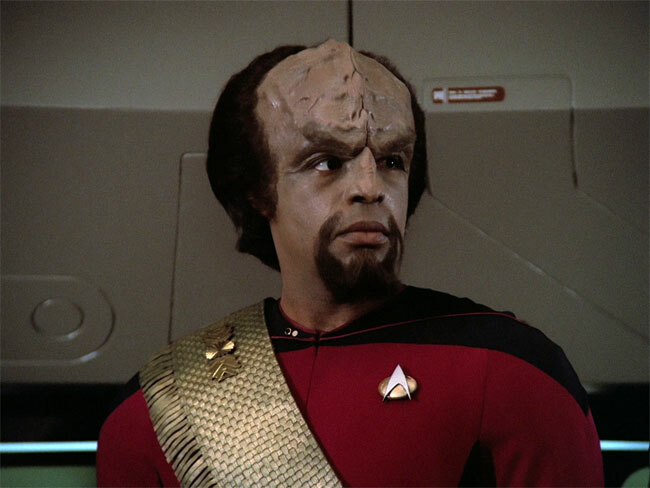 So it was one of things where personally I didn’t really pay that much attention, but what they were doing on the set is what I was taking notice of and what led me to portray the character of Worf as a very gruff and surly individual. Everybody else on the ship was funny and fun and friends and “We’re all going out in space together!”. Everybody was pairing up. It’s kind of a thing where when you’re on a series if you have a relationship and the writers see that, they’ll start writing about that relationship fairly quickly. I just loved the idea of being the outsider. I don’t care what they’re going to write about. I’m gruff and surly and I don’t want to talk to anybody. Earlier this year, there was talk of a “Captain Worf” Star Trek project you were developing and hoping to pitch. What’s the status of that? Dorn: I had come up with the idea because I love the character and I think he’s a character that hasn’t been fully developed and hasn’t been fully realized. Once I started thinking about it, it became obvious to me that I wanted to at least put it out there, which I have, and the response has been pretty amazing. We’ve been contacted by different individuals–I can’t say who and all that–about wanting to come on board and be part of this. Also, there’s all the political stuff going on with the new movies, with J.J. Abrams and Paramount and all that stuff, which I have no clue about and what it all entails, but that’s where it is right now. Interestingly enough it has gotten traction. I was very surprised, I was on a movie not too long ago, where one of the producers was basically lobbying to be part of it. He was like “Michael, I’d love to write it, if you haven’t.” So at this point, my agents and my manager are looking at all the avenues and trying to figure out which is the best one. My agent and manager have been in the business for awhile, so they’re very savvy about where to start and how to get it going. Like I said, in this business you never know and I’ve been through pitching things and I never want to do that again [laughs]. It’s pretty brutal, but definitely I think once again, if Paramount or CBS or anybody thinks this is a viable thing, they’ll jump on it. There’s another Star Trek anniversary right around the corner. 2013 will mark the 20th anniversary of ‘Deep Space Nine’. You joined the show at the beginning of the it’s fourth season. Can you talk about some of the factors that led to you joining the cast at that time? Dorn: It was just a backstory. 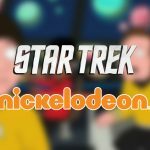 We [Star Trek: The Next Generation] ended in ’94 and we did a movie real fast and were kind of guaranteed we were going to do another movie after that. So my life went on, back into the acting world with auditioning and things. Then in ’95, just a short year later I was doing a video game in Baltimore called “Mission Critical” and I was in the hotel after a couple days and I got a call from Rick Berman. Rick and I are close, we talk and he said “Michael I want to ask you something,” he said “What would you think about coming back and reprising your character on ‘Deep Space [Nine]’?” I was surpassed and I was sort of like “OK” you know? “It sounds interesting.” It shouldn’t be a surprise, things strike me differently at times and it shouldn’t have been a shock, but that’s what got the ball rolling. From there it went to our representatives. 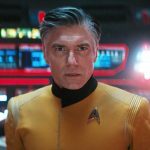 While that was being done I had a meeting with Rick [Berman], Ira Behr and Ron Moore, just to say “look this is going on, but I want you guys to understand that I love the character and I’m very tenacious about holding onto what makes Worf who he is and the one thing I don’t want is to be standing around in the background, just to sort of give the show a boost and I don’t really do anything. That would be terrible. I really want to have episodes that concentrate on my character and I want him to open up as a character.” They assured me, they said “Yes, that’s our plan,”. After some back and forth between our representatives, that’s what happened. The two things that I–and haven’t really told Rick this, but I say it sometimes–the first thing is that I want the character to open up, but on a personal level, it was the idea that it was a challenge and I really love challenges. The challenge was basically they were coming to me saying we want to reprise your character because we want to inject some other stuff into Deep Space Nine that will help with the ratings basically. 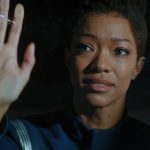 Did you find it difficult to immerse yourself within a cast which already had three seasons together, as opposed to TNG, where you were there from day one? Dorn: Not really. The interesting thing with The Next Generation, I wasn’t there from day one. I was the last one cast and the other cast had been together for a couple of months, through the audition process and the announcements and all the other stuff. They were already together and I was just kind of thrown in there–without any introduction, I might add, [laughs]. Nobody said “Oh hello everybody, this is Michael Dorn, he’s going to be joining you.” I just started working and it wasn’t the same but it was similar where these people has been together for three years and they had formed their relationships and all that type of thing and here comes this guy and I didn’t feel it, there wasn’t any animosity, there weren’t any people looking at me funny or anything like that, but I definitely could feel there was a hint of the idea that “oh great a guy from Next Generation has come in and save us,” but, I got to tell you, they were just as nice as could be and are still my friends and I had a lovely time. In fact, since they started filming in June, at christmas, they made a little film and it was a total setup, basically, kind of like roasting me. They went to the head of Paramount television, they went to Rick Berman and basically they were razzing me pretty good. I went “Oh no,” they practically had to sit on me because I was like out the door but it was done with such love and kindness that from that moment on I think everybody knew I was not there to take anything from anybody else, any other actor, I was just there doing the best I can. 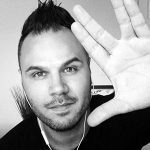 With seven seasons on TNG and four seasons on DS9, you’ve appeared on-screen in more episodes of Star Trek than any other actor. 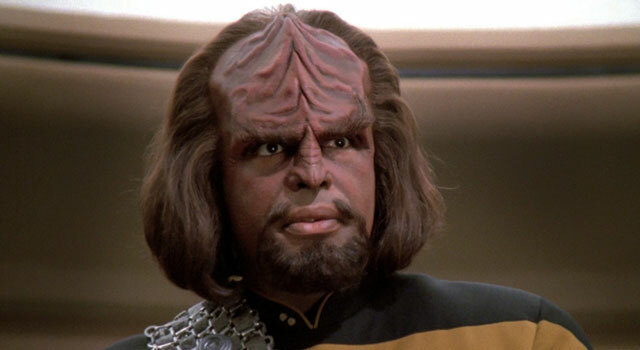 With that, you were able to really flesh out the character of Worf, along with so many elements of the Klingon culture. Was there any element of the character you felt was left on the table, that you would’ve liked to explore? Dorn: The whole thing about how the politics work, I think is really interesting. I think that on top of the fact that we had some very strong actors playing Klingons, both men and women, and you saw a real difference between each of the klingons. They’re not all the same. They’re not all these warrior vicious people and I think the politics is what I found really interesting. I think that Klingon battles and living on a ship, being out there, same as with The Next Generation and the Enterprise, I think that’s a fascinating thing. Also, the relationships between Klingons. More than that, it’s just the same as the aliens in Starfleet and all over the galaxy, there are other aliens in the Klingon world and their relationships [they had] with the Klingons. We got a taste of that with Worf and Dax, because she is a Trill and they were madly in love. They had this really incredible relationship and those type of things have to go on all the time, it cant just be them. So those are the two elements I thought could have been flushed out more, given more time. I think thats a part of what I was looking at for the “Worf Continuing Mission,” things that drove me to believe that there was something there. Also, I’m a big swashbuckling fan. I love the original ‘Robin Hood’ and I love ‘The Wind and the Lion’ and all these just amazingly grand and sweeping epics. I think that the Klingon culture lends itself to that. 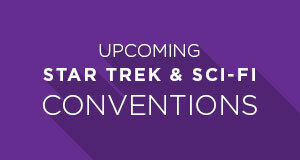 Visit TrekNews.net again tomorrow to read the second half of our exclusive interview with Michael Dorn. 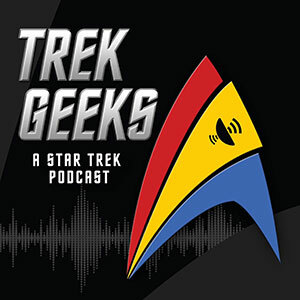 In part two, he talks more about Star Trek and his new Kickstarter project, Through the Fire. To donate to his new project, visit Through the Fire on Kickstarter.